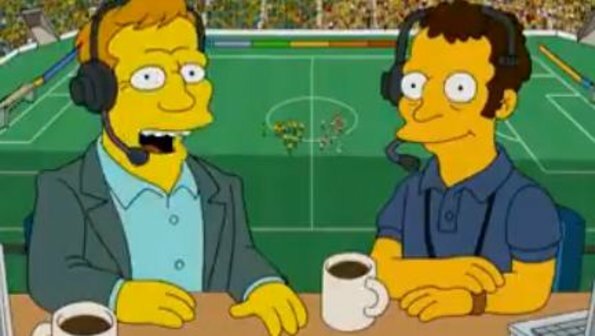 The American sitcom ,The Simpsons, once more turned their attention to football and a special episode dedicated to the World Cup in Brazil was shown last Sunday on Fox. Although the Corinthians stadium is not ready in real life, the Itaquerão appears in full operation . In the homage, Homer’s mission is to officiate the opening of the World Cup, in a match between the hosts and the selection of Luxembourg – that in reality did not qualify for the World Cup. As always, the episode has moments of criticism.